Dell's laptop lineup is very straightforward. You have the XPS lineup, which is regarded one of the best Windows-powered laptop lineups today and then you move down to the Inspiron series with the 7000 at the top and the 3000 series at the bottom. 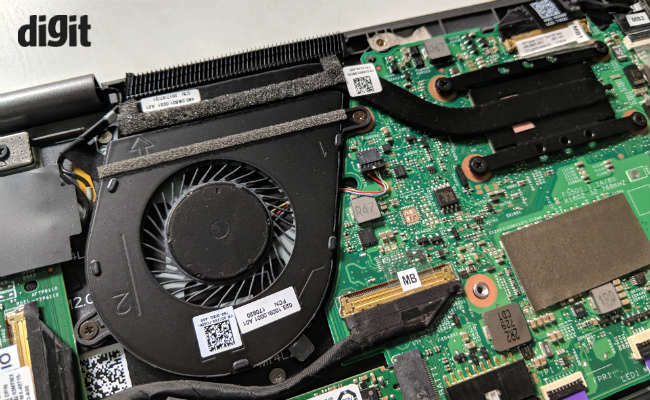 There is a 5000 series as well, but in this review, we are taking a look at the Dell Inspiron 7373, which is part of the 7000 series. The 7373 by virtue of hierarchy is the next best thin and light notebook you can buy from Dell after the XPS. On paper, it offers slightly inferior specifications as compared to he XPS 13, underlined by the latest Intel processor, but is that enough to justify its Rs. 96190 price tag? Well, we used the machine for well over a week to find out. The 7000 series is renowned for its build quality. The Inspiron 7373 here offers an all-aluminum shell both front and back which is premium to touch and seems quite robust. It is easily one of the better-built laptops at its price. That said, don't expect the build quality to be at par with Dell’s XPS lineup, which is still a grade above. 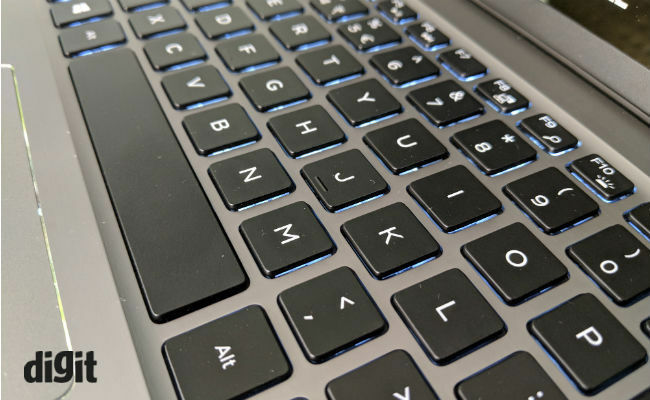 An aluminum shell also reduces the possibility of flex, so if you are a heavy-handed typist, you will be happy to know there is no flex on the keyboard deck. 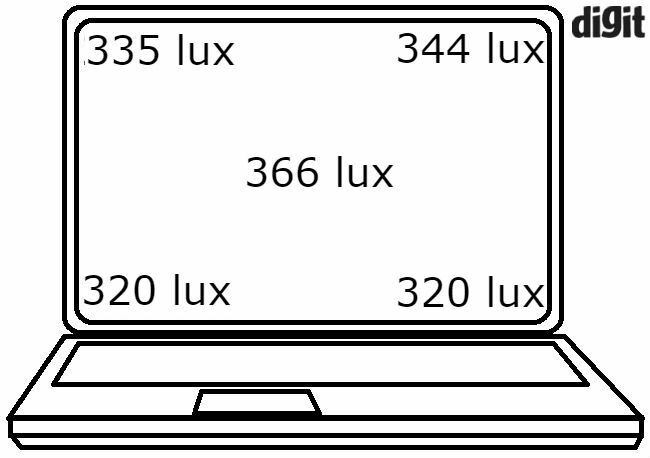 Same goes for the display which besides having an aluminum lid is also protected by glass front and has no flex whatsoever under normal torsional stress. 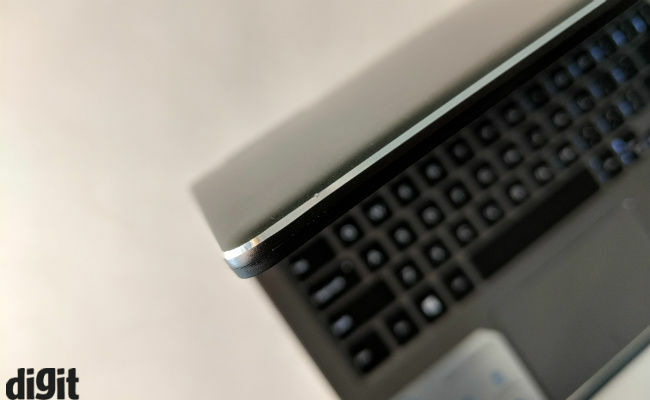 However, we do feel that Dell could have stretched the bottom bezels all the way to the hinges, which would have looked better. Also, the edges around the keyboard deck are somewhat sharp and dig into your wrists after long typing hauls. All-in-all we are quite satisfied with the build quality of the laptop and the battery indicator on the lid is a really nice touch. Opening the back cover reveals the system layout which packs a 38Wh battery, which is only big in size, not in capacity. The two speakers are on either side of the battery and as you can see, the processor is being cooled by a single blower style cooler. The RAM is soldered to the motherboard and only the 512GB SSD SATA drive is user replaceable. Then again, it is not that easy to open this laptop in the first place and even if you do, you will void its warranty. The 13.3-inch display offers the standard 1920 x 1080p resolution and uses an IPS LCD panel. The display has good colour fidelity and the viewing angles are also satisfactory. The glossy touchscreen display does get a bit reflective under bright light but is not really a deal breaker. The panel is made by Sharp and is just as bright as other laptops in the category and offers touch support using Entry’s touch technology. You can use an active stylus with the display, but unfortunately Dell doesn’t provide one with the laptop and needs to be purchased separately. While the display is just good enough, we are happy to report that the 13-inch thin and light notebook has one of the best I/O selection we have seen at this price in a while. 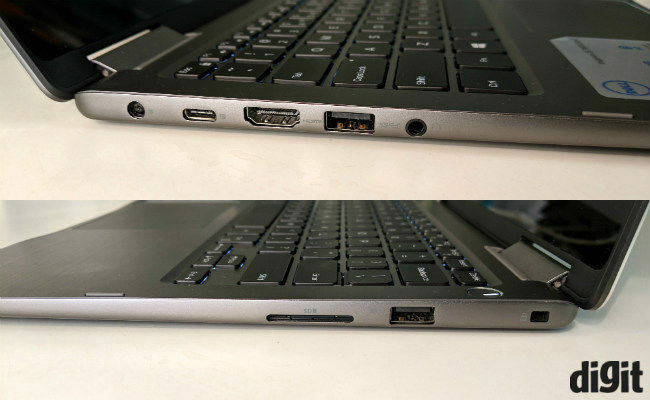 It features two standard USB 3.0 Type-A ports on either side. There is one USB 3.0 Type-C Gen 1 port, HDMI Out, headphone/microphone 3.5mm jack and an SD card slot. This is more than what its competitors have to offer. 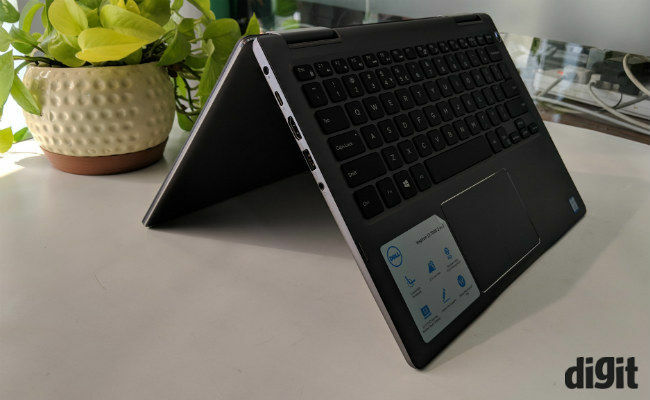 Dell has, however, held back on the Thunderbolt port which is there on the Dell XPS 13 and other machines such as the Yoga 720. Also, the laptop is still using the standard barrel charger and Dell could have easily replaced it with a future-proof USB Type-C port. The keyboard, on the other hand, might not be winning awards, but it is reliable. Don’t set your expectations too high, though. You will be disappointed if you are looking for a similar typing experience as the Dell XPS 13. The keyboard on this machine has a short travel and the keys are a little stiff. So, we started to get a jarring feeling in the fingers after just couple of hours of typing, but your mileage may vary. All keys press down with an equal amount of force and go down with a small audible sound. It features a two-stage white backlighting, but the toggle for that is on the F10 key which is not easy to find in the dark. The touchpad is also not as good as the one found on its expensive sibling. 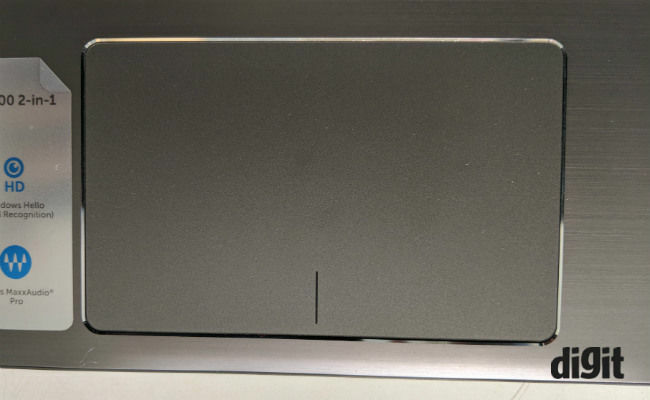 You are getting a plastic matte finish touchpad, which is not as smooth as some of its rivals. It has an odd ‘grainy’ feel to it, which seems a bit too rough. That said, it was accurate and once you get over the roughness, it allows for all kinds of Windows gestures. The Windows precision drivers are easy to use and can be further calibrated to your needs. As for the left click and right click keys, they go down with a short click and offer a subtle audible noise. Inside you are getting the latest Intel Core i7-8550U processor. This is the latest top of the line 8th gen Intel processor for non-gaming laptops at the moment. Till the 7th gen, all processors were dual-core parts, but with 8th gen, Intel is finally bringing a quad-core setup in its U-series product lineup. This gives these new gen processors and the machines they power a huge boost in performance over its predecessors. This powerhouse chip is paired with a dual channel 16GB RAM kit, which is enough for almost all tasks this processor can handle. 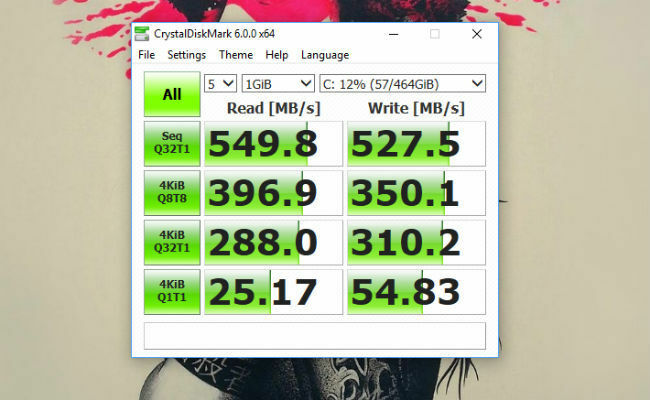 The 512GB M.2 SSD storage is only a SATA drive and hence you will get much lower speeds compared to PCIe based SSDs which are fast becoming common specification among thin and light laptops. In Fact, this SK Hynix made SSD is one of the slowest we have seen in recent times on a thin and light. There is no heating issue as such if you are just using the machine for just office work or browsing the web, but it does get a little warm above the keyboard. It was only when we pushed the machine to its limit, via Prime95, we saw the heat on the bottom panel becoming unbearable. The num key area also gets hot, but if you are working on a desk, all this should not be a problem. That said, we would advise against using the machine on your lap while doing any processor intensive work. The audio output via the twin speakers is quite loud but does crack at higher volumes. The audio quality seemed decent and though it will lack a proper bass, you can still listen to some music. 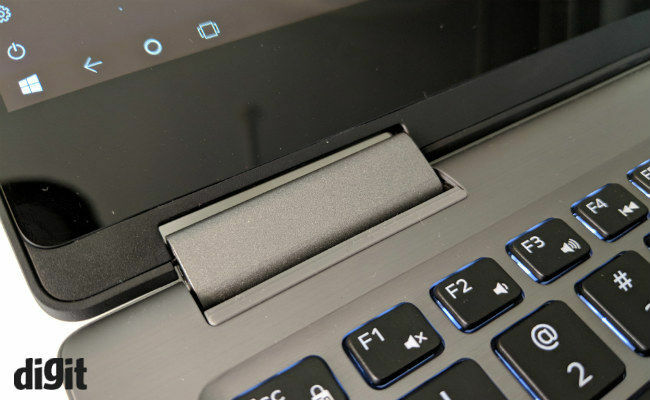 Besides that, the Inspiron 7373 misses out on a fingerprint scanner and instead offers a Windows Hello enabled camera, which only works randomly and only in good lighting conditions. The worst part however about this laptop is the battery life, which at just 3-4 hours is abysmal for a laptop this size. In comparison, most thin and light laptops offer almost double the battery life. 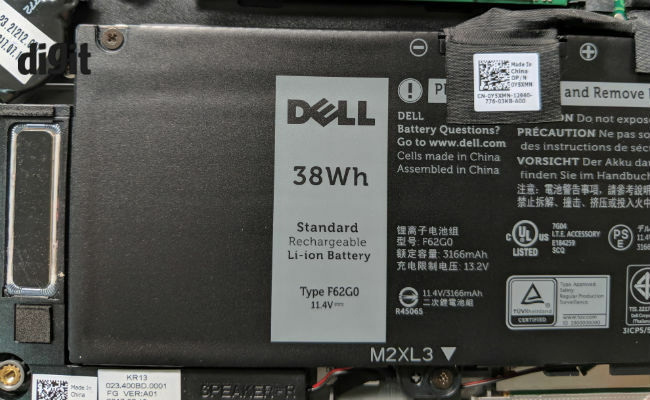 We find it quite baffling that at one end the Dell XPS line offers one of the best battery life in this category and then there is this Inspiron 7373 which is unable to match even some mainstream laptops. Even the more gaming-focused Dell Inspiron 7000 gaming laptop offers a better battery life. We are not sure about you, but this might be a deal breaker for some, we included. 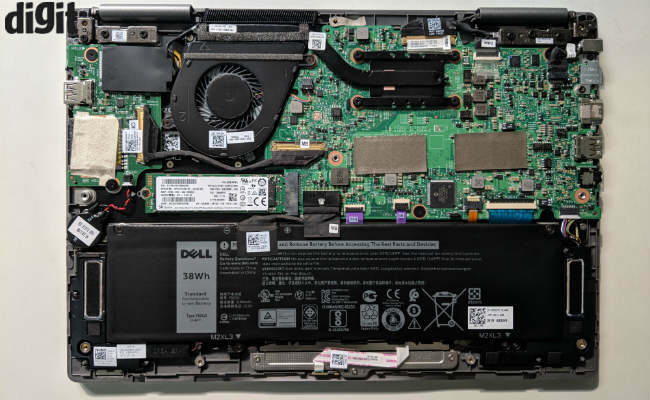 The Dell Inspiron 7373 might be next in line to the much superior XPS line, but it seems like a far more compromised machine than it is on paper. The performance is excellent, the build quality is good, the display is usable, but beyond that, things start going downhill. The keyboard is not particularly great, it misses out on a fingerprint scanner and then there is the appalling battery life. The subpar battery life completely annuls the point of this being an ultraportable. To be fair, even at 96K no other thin and light laptop offers the same performance or ports. However, unless you are happy sitting near to a power plug, you should skip the Dell Inspiron 7373 completely. 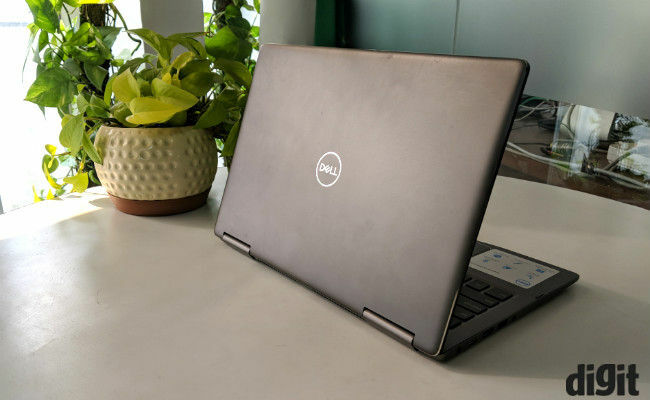 Alternatively, we would suggest you to spend some more and get the Dell XPS 13 in the first place, or you can also opt for the older but still powerful enough Lenovo Yoga 720, which for the price is a good machine. Even the Asus Zenbook flip is a considerable option.